Atlanta-based Nam Dae Mun, a chain of international farmers markets, has reportedly signed a lease to open in place of the former Publix at Cobb Center on South Cobb Drive. Publix, which had operated there for 20 years, closed just over a week ago when they opened a new store at the Jonquil development at Spring and Atlanta Roads. According to the company's website, the market is named after the Namdaemun Market adjacent to the Namdaemun Gate in Seoul, South Korea. 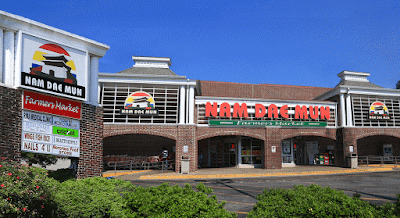 Nam Dae Mun Farmers Market, which opened their first store in 2005 on Shackleford Road in Duluth, has six locations open currently with a seventh coming soon to Morrow. The Morrow location, which was first announced last year, replaces a former Target that closed in early 2014. Among the existing stores is a market in the 2300 block of Spring Road in Smyrna, just over four miles from the upcoming Cobb Center store. A store employee who confirmed the opening also confirmed it will be in addition to, not instead of the current Smyrna store. Nam Dae Mun also has distribution centers in Norcross and Lawrenceville. The company is not new to converting former Publix locations. 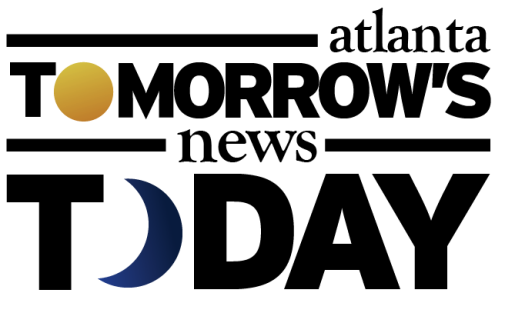 The company previously converted former Publix stores on Memorial Drive in Stone Mountain and on South Norcross Tucker Road in Norcross to Nam Dae Mun Farmers Markets. Are you excited for another Nam Dae Mun Farmers Market in Smyrna? What else would you like to see open in / around Cobb Center? Where would you like to see Nam Dae Mun open next? 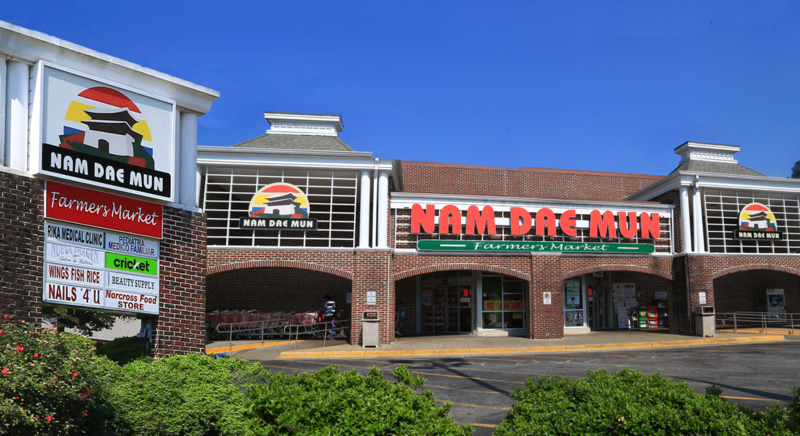 Nam Dae Mun already has a location in Smyrna on Spring Road in a former Winn-Dixie. It'll be a nice treat for the Jonquil City to get two locations. I was hoping for a Walmart Neighbor Market . Tell me about it.I visited the Nam Dad Mun store in Stone Mountain and the odor was overpowering. OMG I am offended by your comment sanni. Its like every time I go into a KFC I smell afro sheen. Shame on you. No one cares if you are offended. Most these places don't want others of different ethnicities or races in their establishments.  Your money is welcome but your opinions and attitudes are not. That is a stupid remark anonymous 1:20pm. Next you'll say blk lives dont matter! Shame on you and those who agreed. Sanni posted a valid concern about a supermarket with fresh produce not appearing up to code based on its cleanliness. It is possible (and all of this world need to realize) to have a critique about something without it being equated to intolerance or discrimination. There was nothing vindictive about Sanni's comments she just stated a fact that I, as a NDM shopper have experienced. Let's all do our part to stop making offensive, biased, hurtful comments based on this notion that we can say whatever we want to whomever we want. We are neighbors. This is a community. Let's have honest discussion but in a respectful way and to seek to understand. I am trying to figure out how a comment about a bad smell was turned into a racist post.... is there a correlation?????????? I am sure that there was no racist intent in the original post. Clearly, love, healing and tolerance for all people is the answer. Happy Holidays! Fresh fish should smell like the ocean or source of water it came from NOT SMELL LIKE ROTTING FISH! If the TRUTH hurts your feelings SO WHAT, NO ONE CARES !!!!! To bring it down to your child like mentality, "sticks and stones may break my bones, but WORDS can never hurt me". Grow up! Happy New Year to the rest of you. "Do us all a favor and keep your "cyber bully" type comments to yourselves, or come out from behind that monitor and be a man for once in you life. You know who you are...... "
Smells fishy .... what if "cyber bully" gender identifies as a woman? You are anonymous .... so touché "cyber bully"? "cyber bully" ??? Who is at threat?? What a stupid comment anonymous. Why don't you show yourself if your so strong? Funny thing is, trolls talk A LOT of garbage online and they always hide behind "anonymous" pseudonyms/fake accounts and screen names. Once a punk, always a punk..,especially when the only time you get a little courage in life is when you're hiding behind a monitor. This should have never turned into an ignorant/racist thread.